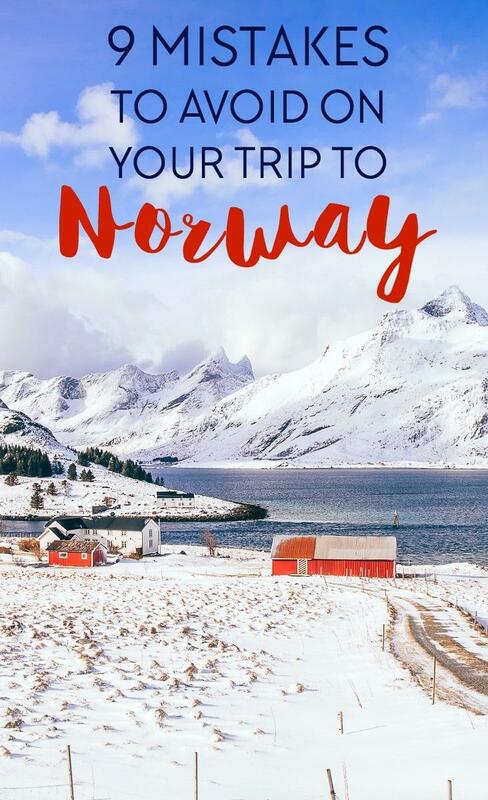 It’s no secret that Norway is my favorite country to travel around, so I’m always trying to think of any Norway travel tips I can share to make your trips to Norway even better. A lot of the articles I write about travel here are inspired by questions people have asked me about planning their Norway holidays, as I get a lot of the same questions over and over. 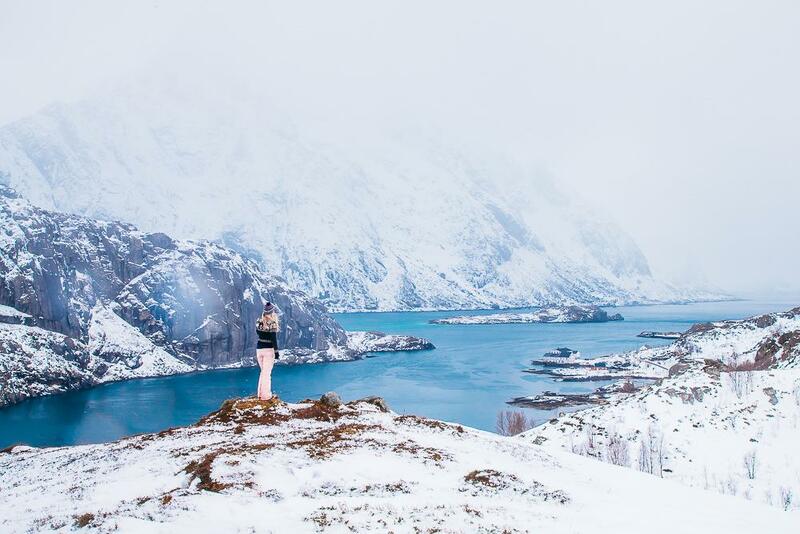 But I also see so many people making the same mistakes while planning their Norway vacation, so I thought today I could address some of the things you should avoid doing while traveling in Norway. Okay, most people have heard by now that Norway is an expensive country, but the prices can still come as a shock when you get here. It seems that the two things people most often under budget for are food and gas. You might find that you end up visiting more supermarkets than restaurants in Norway, so it could be a good idea to look for accommodation with a kitchen – and then you can make some of these super Norwegian, super budget meals! Booking.com has lots of cabins and apartments that usually come with a kitchen, and Airbnb also usually has a lot of lovely and affordable options (if you’re new to Airbnb you can get a discount off your first stay through my sign up link). And if you’re renting a car in Norway (which I think you should, if you can) remember that on top of the rental price you’ll also be paying a lot for gas. You can check the current gas prices in Norway here. Edit: A reader pointed at that you should be aware that gas prices change many times throughout the week, and the cheapest time to fill up is Sundays. Though on the flip side, I think a lot of people put off visiting Norway because they think it will be way more expensive than it actually has to be. In fact, if you’re on a really tight budget I know people who have traveled Norway on next to nothing by hitchhiking, Couchsurfing, and only buying the cheapest food at supermarkets. 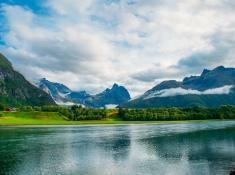 So you really don’t need to be too put off by the high prices – traveling Norway on a budget is definitely possible! Norway is a tiny country of just 5 million people, so it can be easy to think that all the distances in Norway will also be tiny. Oh how I wish that were the case, but actually, Norway is pretty huge! It extends over 1,000 miles and is the longest country in all of Europe. Even looking at a map can be deceptive, as small distance can end up taking surprisingly long to cover when you’re navigating winding mountain roads and catching ferries across fjords. So if you’re planning to spend a few days in Oslo, then hop over to Bergen for a bit, and then drive up to Tromsø to catch the Northern Lights, you might want to consult Google Maps first. 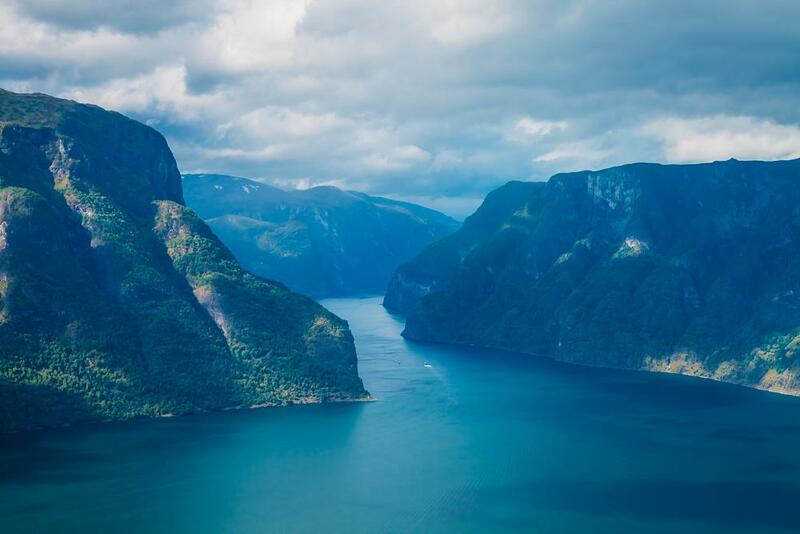 If you need some inspiration, you can find three itineraries for southern Norway here, an itinerary for northern Norway here, and a list of the best places to visit in Norway here. I still make this mistake all the time. 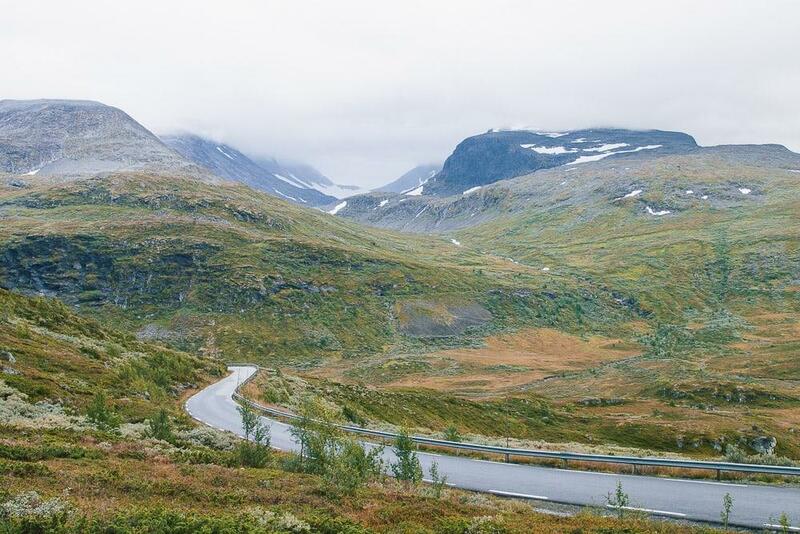 I’ll plan a road trip along the prettiest routes and then realize later that, oh wait, May is still winter in Norway and that scenic mountain road will be closed. Some roads in Norway are closed for winter as late as May or even June and as early as October. I don’t know a site in English with the road information, but you should be able to see which roads are closed at the moment on the map here. If you’re planning on taking trains in Norway, please, please book them as far in advance as you can! You can usually book tickets up to three months in advance, and should take advantage of that. Trains here can be really expensive, but if you book your tickets in advance you can buy the Minipris tickets, which usually cost around 200 – 300 NOK for the entire route. 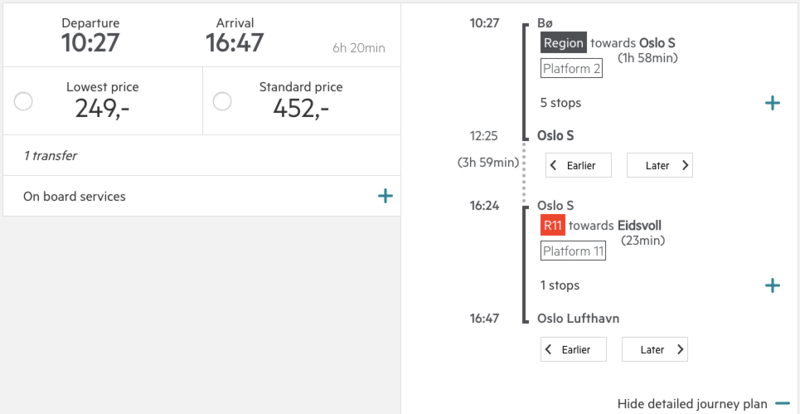 This might still seem expensive if you’re only covering a short distance, but if you can get a Minipris ticket for a long route you could end up paying something like 300 NOK for a 19-hour train journey (the standard price would be about 1500 kroner). And if you’re traveling to two places on the same day, you can usually still book the journeys on the same Minipris ticket. So if I plan on taking the train to Oslo in the morning, spending 5 hours in Oslo, and then getting the train to the airport, I’ll just change the times when booking the ticket (click on “show details” on the search results) so that I have 4 hours in Oslo. You can usually find public buses even in really remote areas of Norway, but often those buses will only run once or twice a day. So if you’re planning on using buses to get around, be sure to check the schedules beforehand to make sure that you won’t spend all day waiting at a bus stop. Again, this is a reason why I really recommend renting a car if you’ll be traveling in rural areas. You might have heard horror stories of people spending $10 for a bottle of water and a chocolate bar in Norway, and it’s true, that’s probably how much they will cost you at a convenience store or gas station in Norway. But I promise you can find those same exact snacks at a supermarket for a fraction of the price! And as for that bottle of water, Norwegian tap water tastes like elvish elixir, so bring a reusable bottle with you and fill up at the tap instead. You can find more about how to eat cheaply in Norway in my guide to eating on a budget in Norway. So most people are aware that you can’t see the Northern Lights in the summer, as the sun never sets up north, but sometimes people forget that the opposite applies to the winter – the sun will never rise. It won’t be pitch black all day – it sort of looks like just after sunset for most of the day – but you will have limited hours of light (and no sunlight) in the north in the winter, which you’ll want to keep in mind when planning your activities. This can be really confusing because Oslo technically is on a fjord, but it’s not the sort of fjord you’re visiting Norway to see. If you want to see those stunning mountain drops, head to the west coast instead! In fact, a lot of people fly into Oslo and then immediately get a train or another flight across the country to Bergen, spending most of their time exploring Norway’s super scenic west coast. 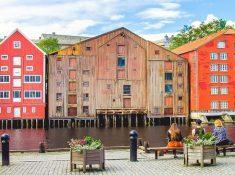 Check here for where to stay in Bergen and here for a weekend guide. I’ve written about this before, but I’ll mention it again: if you want to have a good chance of seeing the Northern Lights, head north of the Arctic Circle. Yes, a lot of destinations in southern Norway will advertise photos of the Northern Lights, but seeing them in the south really isn’t the norm. 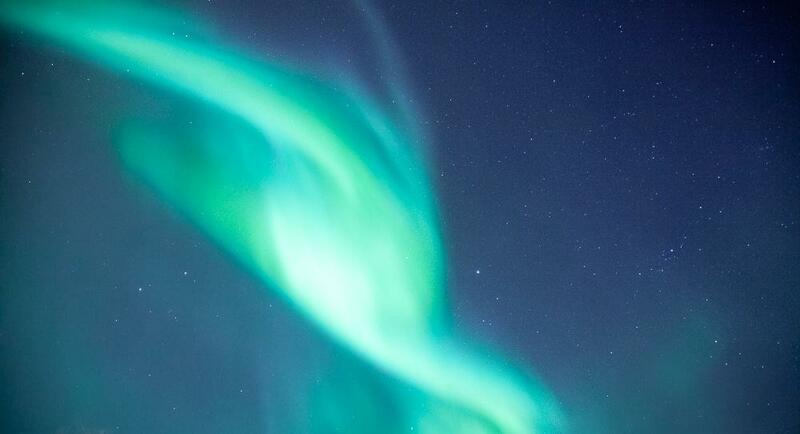 If you’re looking for a tour to see the Northern Lights, check here. 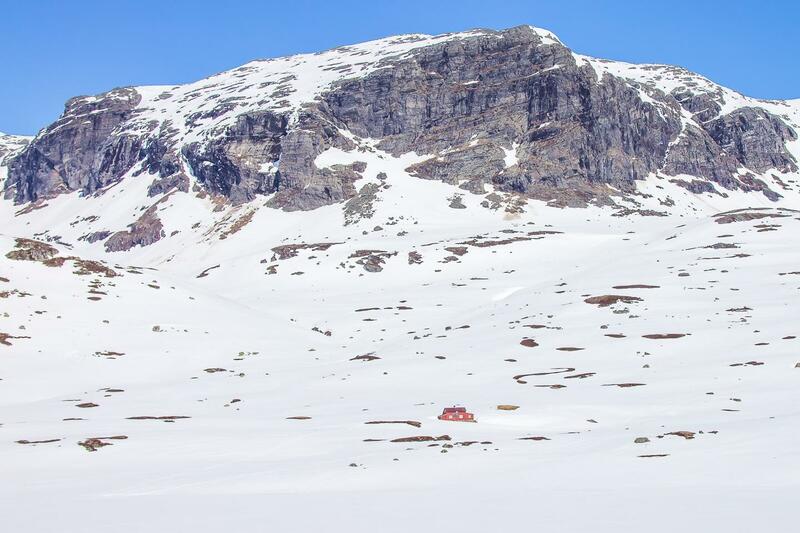 Someone mentioned this in the comments and it’s so true – accommodation in Norway can book out really quickly, especially if you’re visiting during the high season. 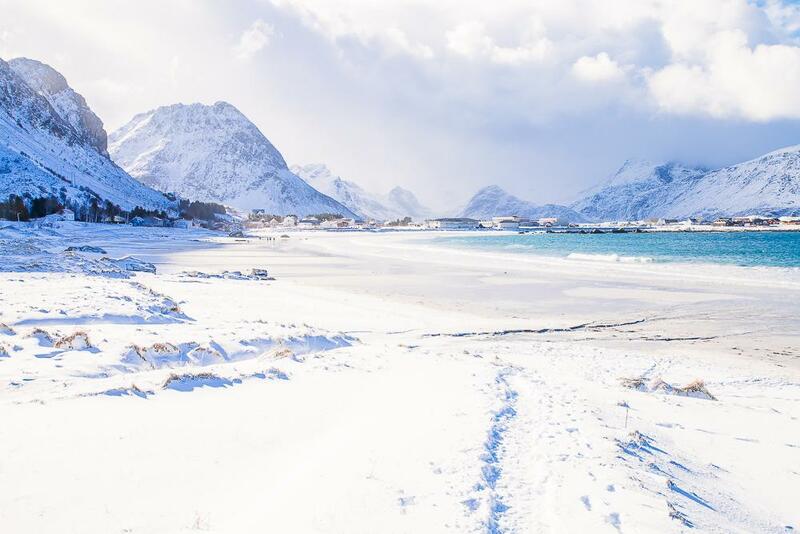 If you’re headed to the fjords in the summer or northern Norway in the winter, then you should really try to book your accommodation at least six months in advance, if not earlier. This way you’ll have the best chance to get the cheapest/nicest hotels. And if you book on Booking.com, you can often cancel for free if you change your plans later on. I’ve written up accommodation guides to some of the areas I know best in Norway, including my top choices ranging from budget to luxury accommodation, all of which you can find here. 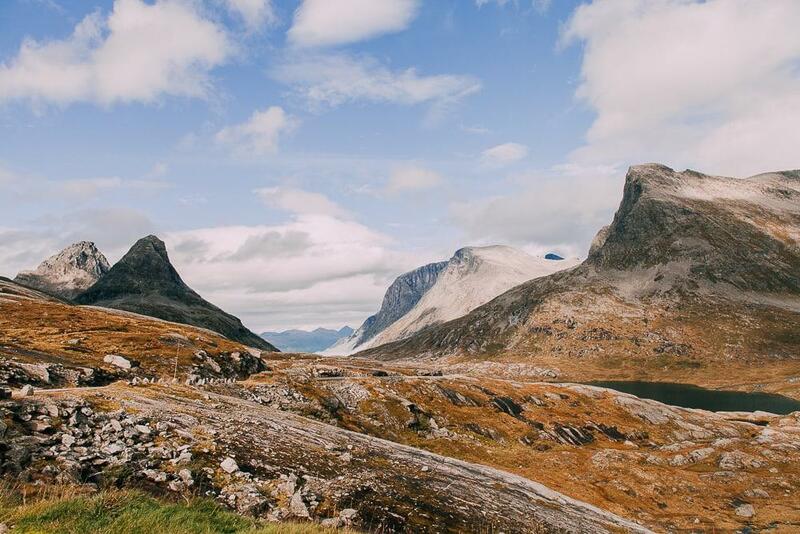 Hiking through Norway’s stunning mountains is a highlight for a lot of trips to Norway, but it can also end in disaster if you’re inexperienced and unprepared. So if you plan to hike while in Norway, take a look at my guide to hiking in Norway to see all the mistakes you need to avoid! Have you been to Norway yet? Do you have any advice to add? Silvia what a great post! I have already pinned it to my Norwegian Pinterest board! Another big forgetting is money for the ferries, they are not cheap either in Norway, often forgotten when having a road trip in Norway. In 2017 we went to Lofoten and did the Coast of Helgeland up to Lofoten, I think we had nine ferries, we were four adults and one care, money flyes! haha. This is an important post to read! I’m from Norway, and this is all good and true. But I have met a lot of turrists that are going to trolltunga, witch takes 6 hours up, and 6 hours down. Then comes these clueless turrists in their high heels, and miniskirts… they are not preperad! A lot of these people have to be rescued down from there. Buses can also be quite unreliable and train delays are frequent. and don’t forget “buss for tog”, what a nightmare that is.